Three Wabash College students have earned postgraduate fellowships, capping a semester of accomplishment and reward at the 183-year-old liberal arts institution. The trio of John Davis ’15, Pierce Velderman ’15, and Luke Walker ’15 each received teaching fellowships and two of them will be teaching abroad. 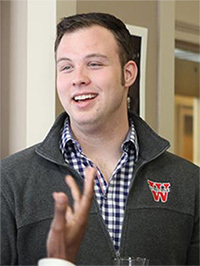 Davis, a native of Indianapolis, received a Woodrow Wilson Indiana Teaching Fellowship. Funded through the Lilly Endowment, Inc., the program seeks to place future teachers with STEM backgrounds – science, technology, engineering, and mathematics – into teaching in high-need Indiana secondary schools. He will serve his fellowship in Indianapolis. The Woodrow Wilson Teaching Fellowship includes admission to a master's degree program at a partner university, certification in science, mathematics, or technology education, preparation for teaching in a high-need urban or rural secondary school for one full year prior to becoming the teacher-of-record in a science or math classroom, and a $30,000 stipend. Once fellows are certified teachers at the end of the first year, they obtain salaried employment in high-need schools. Velderman, a native of Holland, MI, was awarded a United States Teaching Assistantship at Austrian Secondary Schools and will be based in Vienna. In addition to serving as linguistic models in classroom English instruction, these teaching assistants contribute to the promotion of mutual understanding between the peoples of the United States and the Republic of Austria. A German major who studied abroad in Austria last year, Velderman will assist in classroom instruction for 13 hours per week. Weekly duties may include team-teaching a lesson with an English teacher, discussing a topic from the text book with small groups, one-on-one conversation practice with students, and teaching a unit on an aspect of U.S. culture or a current event. 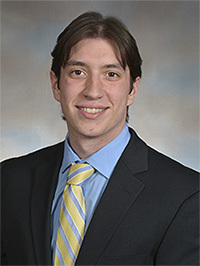 Walker, a native of Wingate, IN, earned a Teaching Assistant Program In France fellowship and will be based in Lille. The program aims to strengthen English-language instruction in French schools by establishing a native speaker presence, while also providing U.S. students with excellent teaching experience and first-hand knowledge of French language and culture. Assigned to either elementary or secondary schools, assistants teach 12 hours per week in up to three schools. Classes are conducted in English and teaching assistants conduct all or part of a class, typically leading conversations in English, serving as a resource person in conversation groups, providing small group tutorials, and giving talks related to American studies. 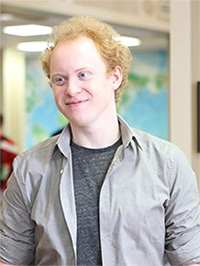 A French major with computer science and electronic music minors, Walker studied abroad in France in 2013. In addition to these three fellowship winners, Wabash has produced six Fulbright recipients and a Rhodes Scholar in the last two years, a good indicator of the high caliber of the student body.